While 3D printing typically takes place on a horizontal flat surface, a couple of inventors have created a mechanism that allows 3D printing to take place without a dedicated print surface. 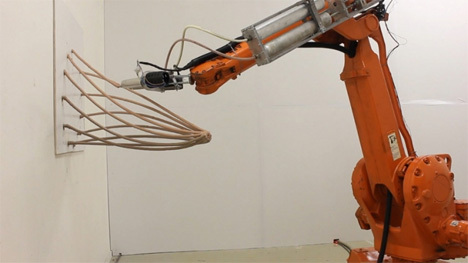 With no support material needed, it’s technically an anti-gravity 3D printer. Petr Novikov and Saša Jokić are the brains behind Mataerial, a 3D printer that can work without a dedicated print surface. It looks a lot like a robot arm from an automobile assembly line. Its specialized print heads use a filament that is much thicker and dries quicker than typical 3D printing devices. 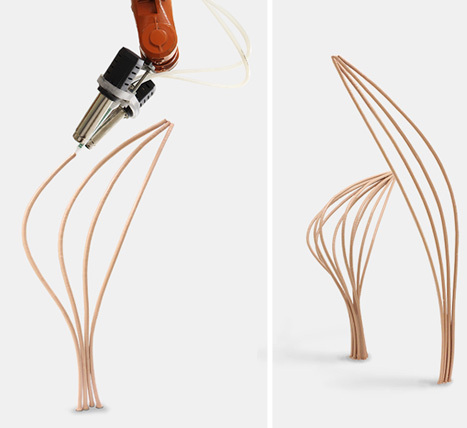 While still innovative and captivating, Mataerial doesn’t do detail well and can’t quite capture the intricacies that a typical 3D printer can. But the possibilities created by this giant extremity are almost endless.